Up to 25k cash rebates for a limited time. There&apos;s never been a better time to Meet Sunny. Host your event in Greater Fort Lauderdale during eligible 2019-2021 dates and you&apos;ll get up to $25,000 in cash back, plus extra hotel incentives. Booking 50-150 peak nights? Get up to $5 cash rebate per room night paid. Booking 151-300 peak nights? Get up to $7 cash rebate per room night paid. Booking 301+ peak nights? Get up to $10 cash rebate per room night paid. See terms & conditions for eligible 2019-2021 dates and other qualifying information. Utilizing the Greater Fort Lauderdale/Broward County Convention Center? Let us cover the cost! Additional or different incentives may apply. Get incentives customized to your meeting needs including complimentary convention center meeting space! Contact Ed Simon, Sr. Vice President, Convention Sales & Services for more details. Rewarding incentives are just the start! 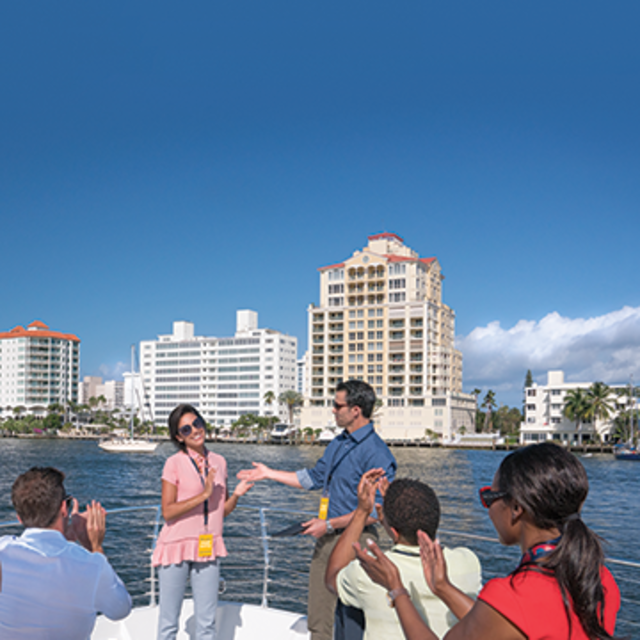 Discover all the ways Greater Fort Lauderdale will delight your group. Check out the digital Meeting Planners Guide to access exclusive content, time-saving planning tools and much more.